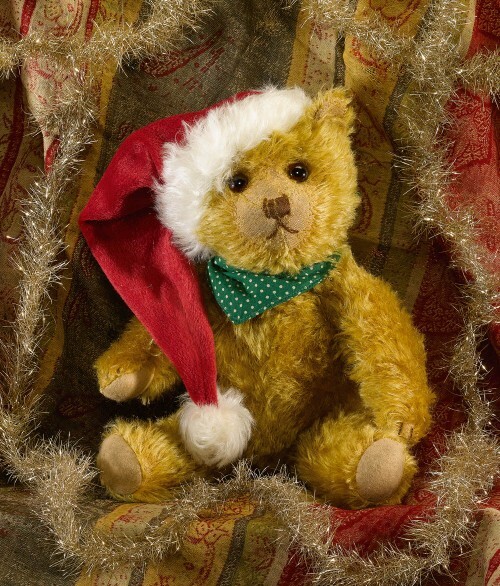 This old and friendly- looking Christmas bear is made of distressed, warm gold mohair with dark amber and black glass eyes, a skip-stitched nose and felt paws. He wears a long, mohair trimmed, red velvet hat and a green and white polka dot neckerchief. He is softly filled with a mixture of polyfibre and plastic pellets. 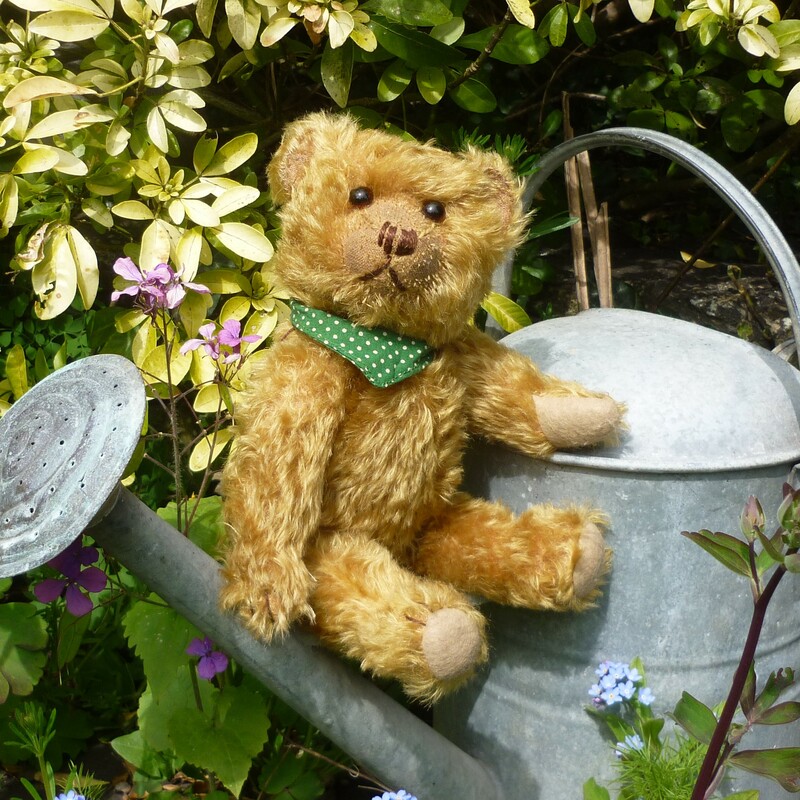 A bear is not just for Christmas! Remove his hat and let Nicholas enjoy spring, summer and autumn.